Welcome to Advantage Insurance! As independent insurance agents we are dedicated to finding our customers the best coverages at the best rates. Our promise to you, is we will do our best to satisfy your needs and treat them as if they were our own. We seek to make coverage a non-issue and protect you from the inevitable in life. With over 68 years of insurance experience, we will match you with an affordable and personalized plan. We understand insurance and its uncertainties, and we are here to help. To get started, click or call us at (402) 484-5454. We make the process easy! They are there when you need them and can assist you with all your Insurance needs. Have been with them for many years and they have had my back! Nate is awesome and will help anyway he can to make your experience superb! 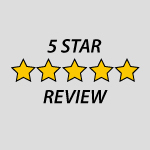 Nathan & his associates have always been wonderful to work with for over five years now! They have offered many solutions for all my insurance needs. I send all of my friends and family to them for coverage needs.